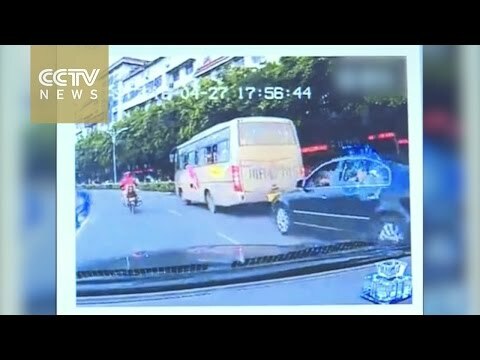 A car’s automobile data recorder shot a shocking video that shows a girl falling off a passenger bus. The girl, who is said to be about two years old, fell from the window of a bus that was parked on the street. A woman immediately came to the girl’s rescue. Her mother said that the girl was playing by the window seat when she lost control and fell. Despite no visible injuries reported, the incident however raises questions about child safety and parental responsibilities while traveling.